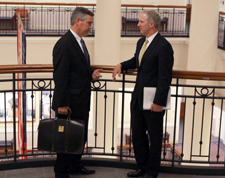 Todd & Weld lawyers secured jury verdicts in excess of $1 Million in two cases in 2005. 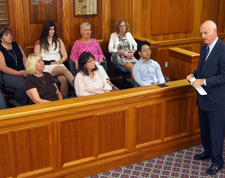 In July 2005, Ian Crawford and Heidi Nadel secured a verdict of $2.73 Million from a Middlesex County jury on behalf of our clients, minority shareholders in a closely held corporation, on claims of breach of contract and breach of fiduciary duty against the majority shareholders. In February 2005, Howard Cooper and David Rich secured a $2.1 Million verdict from a Boston jury in a case that made news around the country. Todd & Weld successfully represented Superior Court judge Ernest B. Murphy in a claim for libel against the Boston Herald and one of its reporters. These two jury verdicts earned Todd & Weld recognition among Massachusetts Lawyers Weekly Top Verdicts & Settlements of 2005.